Going through the Connection Server log files I figured out the java exception is called when the vCenter is crawled for all available Hosts and Clusters. The routine is crashing when it hits an disconnected or not-responding ESXi host within the inventory. Make sure every ESXi host is in a connected state. ESXi hosts within some maintenance can really steal the show right here. Make sure to get rid of this ESXi host by fixing the host or removing the host from the inventory. Please be aware of that a remove will also affect the your distributed switch. I created several blog posts about the Predefined settings so far that hopefully gave you some understanding about the basic and advanced concepts. The opportunity to create dynamic predefined settings with the help of Environment variables and placeholders. Placeholders within UEM’s predefined settings. Within the predefined settings you are able to define variables that will be dynamically set during the runtime. 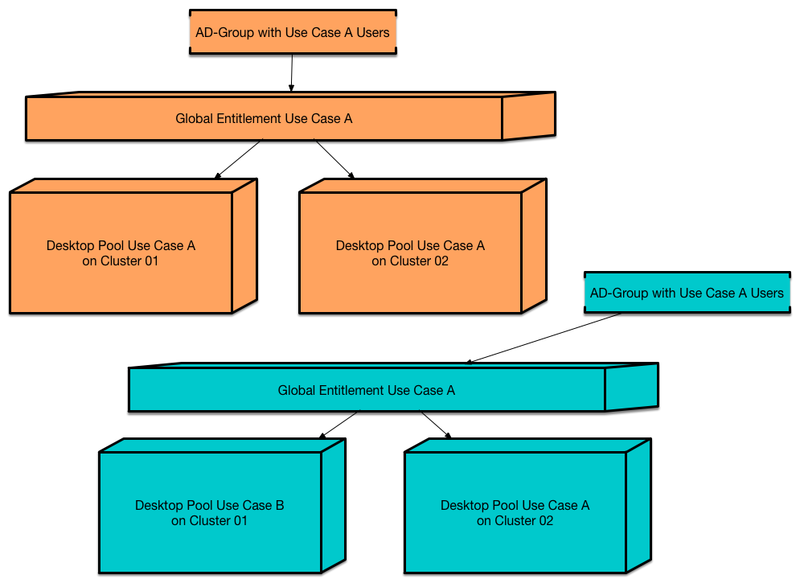 The following example should show you how we can use this functionality to deliver a flexibel dynamic and context-based environment for the user (that almost sounds like marketing once again). In on of my last posts I have explained what the basic concept of VMware’s User Environment Manager (UEM) is and how we can use it to pre-configure or enforce specific settings of applications in our Desktop environment. In the following I am going to dig a little bit deeper and show you how those concepts get configured and can be used in the world of UEM. Once we have installed the Application Profiler we are able to create config files for UEM that explain which portion of the filesystem/registry is a part of the application’s user data. The process is quiet simple. Start the Application Profiler, start the application from within and configure the relevant settings you want to enforce or have as a default configuration. The power within User Environment Manager (UEM) aligns with its ability of being able to create a managed personalized environment for the end-user (even/especially in a floating environment where no one has a dedicated virtual desktop). One great feature to increase the productivity of the user is been implemented by having multiple and different pre-defined settings applied to a Window setting or application based on certain conditions. In the following I am going to document how what does different pre-defined settings mean. I am assuming you already have the UEM infrastructure installed and configured. If that’s not the case, check out this post. I remembering getting on-boarded at a financial provider somewhen in the 90’s (oh boy..I am getting old). Receiving AD-Accounts, Lotus Notes-Account, several other access data and a big document how to setup those applications. 5 hours later I was quiet ready to start doing my tasks. With the release of UEM 9.1 a few nice features and fixes (and a few new constraints) have been introduced. Check the release notes here for further details (or just read on). VMware’s User Environment Manager gives us the opportunity to deliver a condition based and personalized user-experience within or (virtual and non-virtual) desktop environment. As I have written in my last post UEM is a game changer in the way how we can create great VDI solutions. 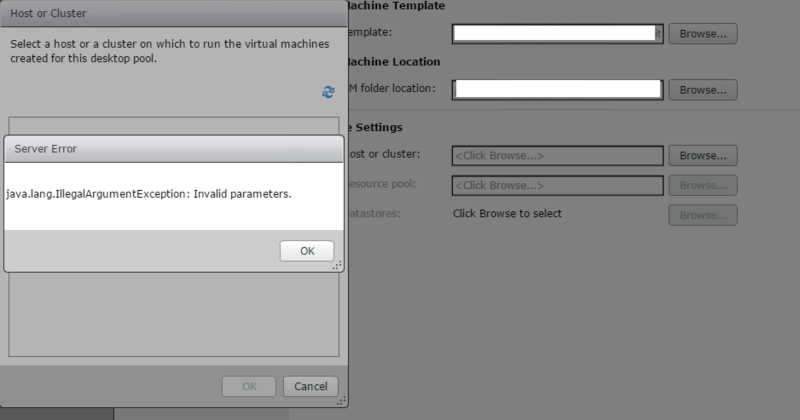 Having worked a lot with VMware’s User Environment Manager (UEM) within the last month I saw many errors made and occurring during the installation phase. Even though the the installation is quiet straight forward, some minor mistakes can happen from time to time. I am going to summarize which symptoms might occur, how to check to gather further information and what most possiblely has caused the malfunction. At the moment the post is focusing on the Active Directory Group Policy based installation & configuration within UEM. The newest version 9.1 allows us to it also in a non-ad way. If demand is there, I can add a section for that topic as well. I am not going to cover the basic installation steps. Chris Halstead did a great job on that topic (and for all the things he worked on [flings, blogs, etc.]). Please use that one for the basic installation tasks and come back to this post if you need to troubleshoot further ;-) With the following list you can fix 98% of the problems that might occur during the UEM installation ;-). Everyone working within the EUC and virtualization field knows this joke. Every year some analysts and vendors are promising us that this year is going to be the year of VDI (Virtual Desktop Infrastructure). 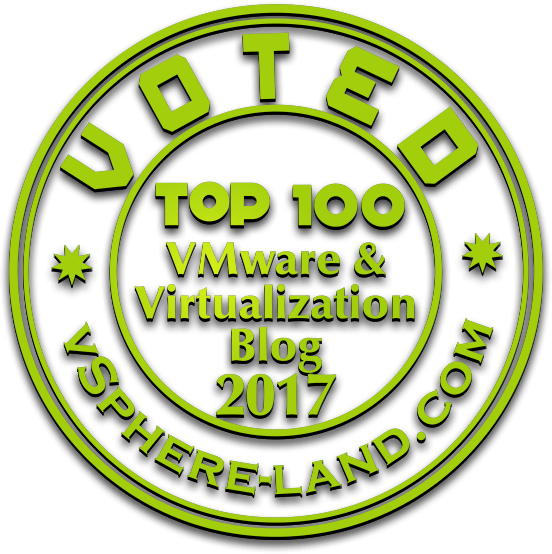 Within the last 5 years of my professional career I gained a lot of practical experience and feedback about VDI projects within Germany. I am trying to summarize what has happened within the VDI field over the last years and which technologies and solutions within the Horizon stack changed the way how we deliver virtual desktop in 2016 compared to 2012 (2013/2014/2015 ). If you want to see how specific Vendors within the VDI world evolved I would recommend you to also read this nice article about the state of EUC market by Rob Beekmans. 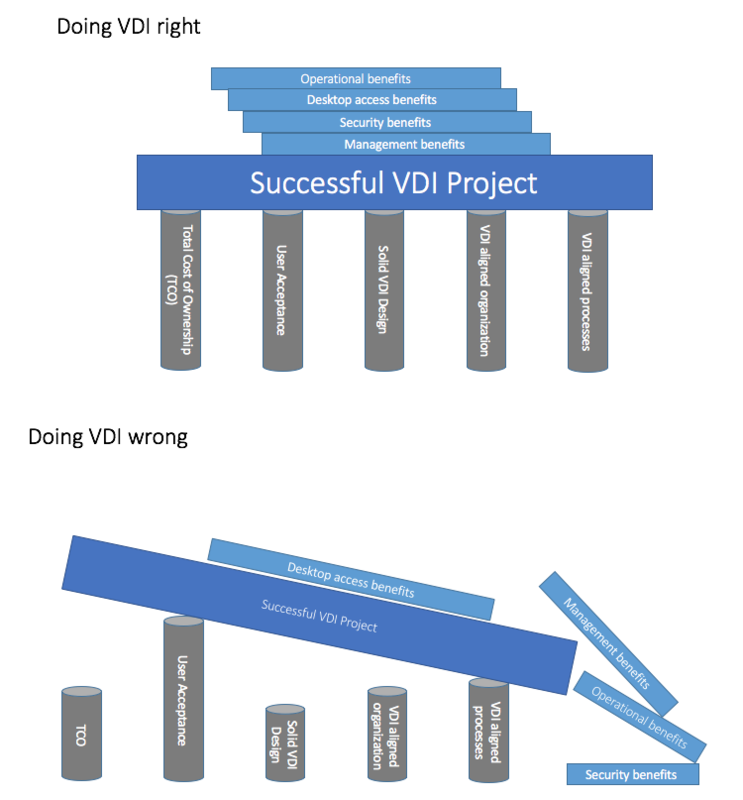 In theory a EUC strategy based on VDI offers many advantages. How did the technologies and therefore our design constraints have been changed over the years? Let me try to summarize it. We observed a strange behaviour after updating from Horizon View 7.0.0 to 7.0.1. For whatever reason the tunneling settings within the Connection Server changed back to the initial settings (tunneled for HTTPS/Blast). This might have a severe impact if you have a Load-Balancer in front of it configured for Src-IP session persistence where a direct connection is a MUST. 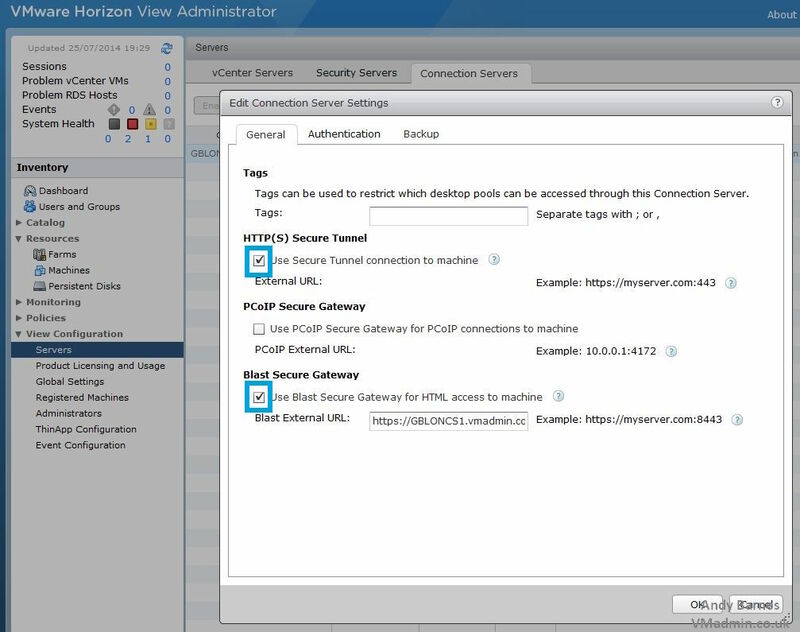 Those settings define if the remote-session between the Horizon View Client and the View Agent within your virtual Desktop are either tuneled over the security/connection server or directly between the client & agent. –> Deselect both checkmarks and you are back in business.